Whether your project is a single residential home, multi-family complex, or commercial development, Alpine Lumber Durango takes pride in being the best supplier of building materials in the four corners region. 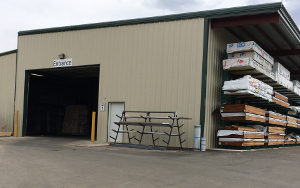 With our expansion plans for a 2800 sf office addition, and the recent completion of our entire yard being paved, Alpine Lumber Durango is keeping pace with our growing community’s needs. As local employee owners, our knowledgeable and helpful crew is very involved in the community. We support Habitat for Humanity, Durango and Bayfield High School sports, Skills USA, FOR Club, Community Gardens, Durango VFW… just to name a few. We are also active members of the Home Builders Association of Southwest Colorado.